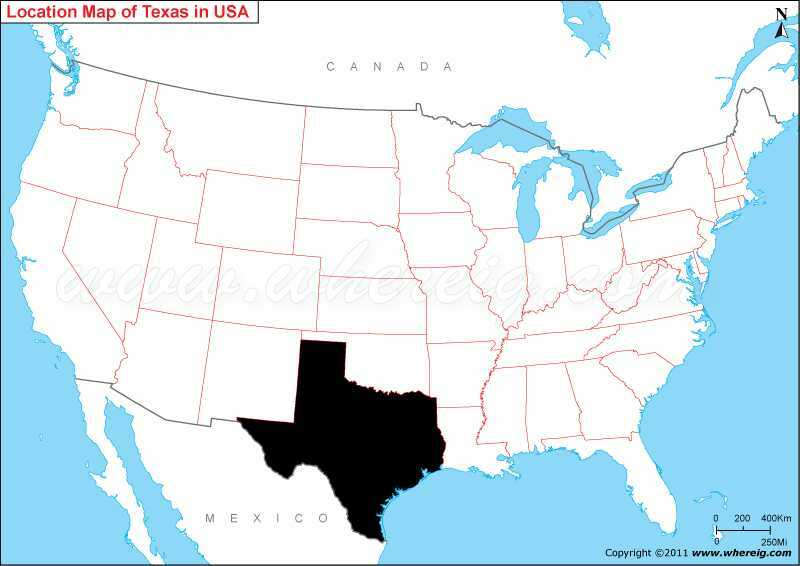 Texas is located in the southern part of the United States. Where is Texas located on the US map? Texas map also illustrates that it shares its border with Oklahoma in the north, New Mexico in the west, Louisiana in the east and Arkansas in the north-east. Besides, it also shares international border with Mexico in the south and coastline along the Mexico Gulf. Surprisingly, the second largest state of the United States Texas has the maximum number of counties i.e. 254, more than any other state of the United States. Due to vast area, the climate type of state also varies greatly i.e. from cold to semi-arid and arid. The capital city of Texas is Austin but the other larger and significant cities are Houston, San Antonio, and Dallas. However, Texas has four metropolitan areas - Dallas-Fort Worth-Arlington, Houston-Sugar Land-Baytown, San Antonio-New Braunfels, and Austin-Round Rock-San Marcos.